From my blog travels recently, I heard some new music from Australia’s Oliver Tank. “Help You Breathe” is a new song not off the “highly rotated here” EP Dreams and “is a soft and chilled slice of mellow electronica, with Tank’s sweetly yearning vocals add a touch of emotion to the gentle synths” (quote and track via Music Ninja). Also, Their Bated Breath has a collaboration of Tank and Rainbow Chan for The Northern Lights Competition from FBI Radio last year. The duo outlasted hundreds of entries and when there were 6 finalists, the public voted Chan and Tank the winners. The tracks are a free download at FBI Radio along with some remixes. Head to Their Bated Breath to hear “To Love Again”. 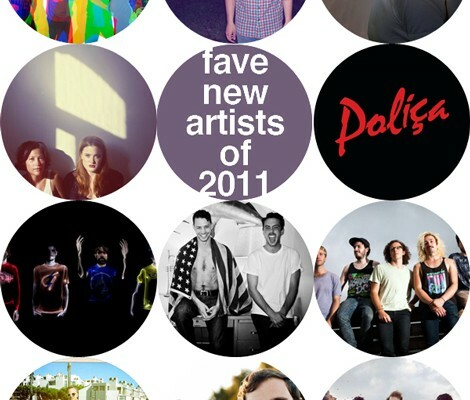 Trying to keep consistent with the posts that I put together last year, this is my list of favourite new artists that I found in 2011. 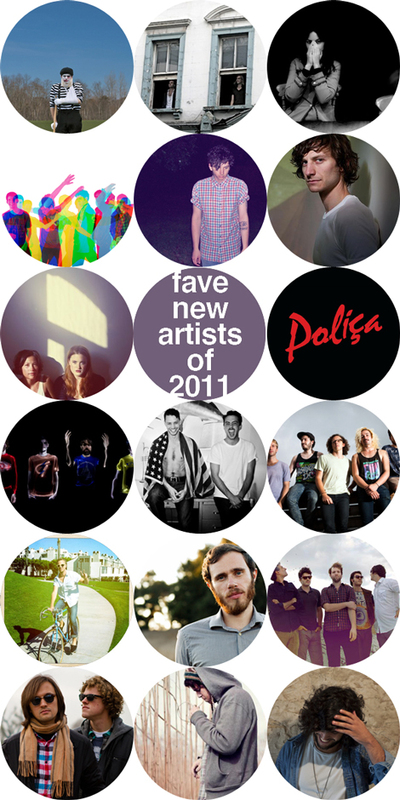 One caveat worth mentioning, a lot of these artists may have existed pre-2011, but only came on to my radar last year. Although this post really should have been published at the end of last year, I’m glad I’m finally getting to it. Stream them in playlist form via Spotify, Rdio and Grooveshark. Anothers Blood. Honestly, I don’t know to much about this band, other than its Richard Frenneaux from the band Red Light Company. I was really hoping for big things for Red Light Company, but it never really materialized on this side of the pond. Richards’ new band sounds pretty amazing so far, but I am really only judging it based on the single they release in October called “Lost Communication“. Consider this one a gamble then but I’m glad I heard this band in 2011. ANR. Consisting of Miami, Florida’s Michael John Hancock and Brian Robertson, the bands album Stay Kids spent a lot of time in my rotation last year. If you had to start somewhere, try out “It’s Around You”. Bet you haven’t heard a song like that. 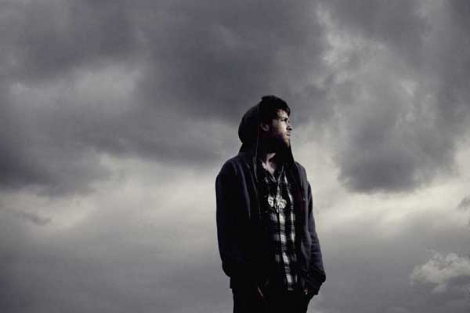 Benjamin Francis Leftwich. A british singer/songwriter who I took notice of for his ability to create beautiful, stripped down covers of popular songs. Turns out his originals are more than good, including “Atlas Hands”, watch the video below. Caveman. A promising new Brooklyn based band that I couldn’t avoid on the blogs. I’m predicting a big year for the band. Check out “Easy Water”. ‘Easy Water’ from Caveman on Vimeo. Clock Opera. A London based four-piece who I initially knew as a remix artist. Now after hearing “Belongings” and “Once And For All”, you gotta watch to see how their 2012 album will turn out. Recommended for fans of Elbow, with an folktronica spin. Fort Lean. Another Brooklyn based band ready to take over in 2012. CMJ last year was big for the band, I’m guessing they killed it with “Beach Holiday”. For fans of the Walkmen, The Strokes. Gotye. Australian-Belgian multi-instrumentalist Wally De Backer has a phenomenal record in Making Mirrors, with the exception of one song about his vintage organ I can’t listen to. “Somebody That I Used To Know” is a killer tune, 48 million can’t be wrong can they? I Break Horses. The Swedish duo composed of Maria Lindén and Fredrik Balck blew me away last year, first with “Hearts” then with the rest of their album by the same name. Looking forward to catching this band on the road this year with M83. I Break Horses – Hearts from Bella Union on Vimeo. Icona Pop. Another Swedish duo (Caroline Hjelt & Aino Jawo) with an arsenal of catchy songs from their debut EP, Nights Like This. “Manners” is recommended, but start with the title track. 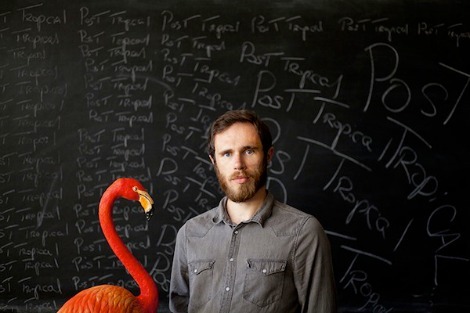 James Vincent McMorrow. Irish folk music singer-songwriter who put out the album Early In The Morning last year. For fans of Sufjan Stevens, Ray LaMontagne or Bon Iver, his voice will win you over. Check out “We Don’t Eat” or his great cover of “Higher Love“. Oliver Tank. Twenty-one year-old musician from Sydney, Australia with a similar sound to James Blake. His 6-song EP is currently my favourite sunday afternoon soundtrack. Oregon Bike Trails. 60’s pop sounding musical project of Santa Monica’s Zach Yudin. “High School Lover” made so many “Best Songs of 2011” lists, including mine. Papa. Brainchild of Girls‘ drummer Darren Weiss and since I found “Halloween To Me” on the blogs one day, I’ve been hooked on the song. 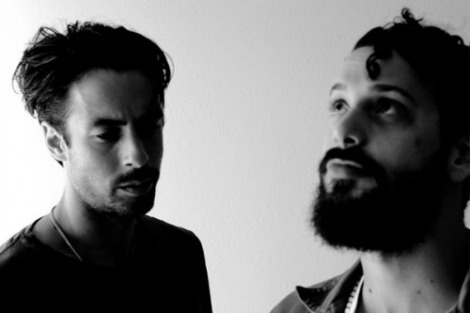 For fans of Dan Boeckner (Wolf Parade) or the Walkmen, start with “I Am The Lion King”. Polica. Former GAYNGS vocalist Channy Leaneagh and producer Ryan Olsonnestly make a great pair. Their debut “Give You The Ghost” will be out out on CD/Vinyl 2-14-12 via Totally Gross National Product, take a listen to “Lay Your Cards Out”. Y Luv. LA foursome of USC students with a free EP from April of last year and two new singles to download, “Earthquakes” and the song below. For fans of The Temper Trap or The Pass, check out “Keep It Rollin‘”. Youth Lagoon. The dreamy, reverb-laden outlet of Boise, ID songwriter and multi-instrumentalist Trevor Powers. His album (The Year of Hibernation) and videos seemed to make all my top year end lists. Give it a few tries at least, I found it to be a grower. Youth Lagoon – Seventeen from kasey lum on Vimeo. You Won’t. The band on this list with the hardest name to google, this Boston folk-rock group have some hid den gems in their debut LP Skeptic Goodbye (out Feb. 14th via Old Flame Records). For fans of The Rural Alberta Advantage, head to their bandcamp and try out “Three Car Garage”. The Wild Honey Pie Presents: You Won’t – Fryer from The Wild Honey Pie on Vimeo.